I read a book to my kids before the go to sleep each night. My 8-yr-old enjoys The Hobbit, so I thought she'd also like all the adventures and monsters from The Odyssey. Although I'm a big ancient history guy I had never read Homer's work. 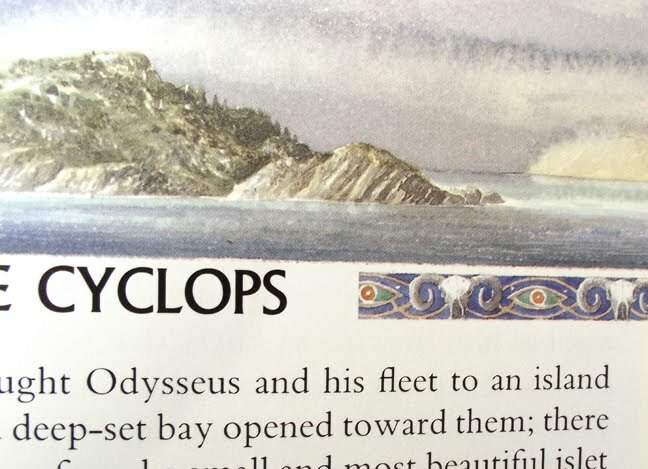 It turns out Rosemary Sutcliff, author of Eagle of the Ninth, published abridged versions of both The Iliad and The Odyssey. Her books, Black Ships Before Troy (1993) and The Wanderings of Odysseus (1995) are the perfect introduction to Homer. Both are illustrated by Alan Lee, renown for his work with The Lord of the Rings books and films. 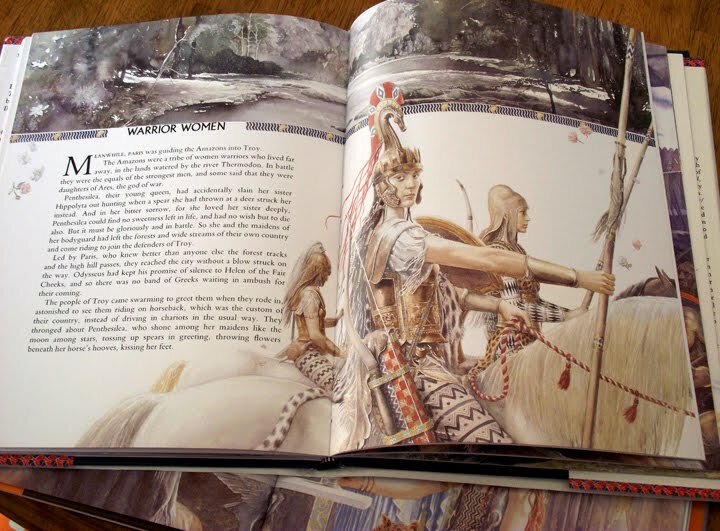 I compared his armor, costumes, weapons, etc to the Mycenaean Greeks depicted in Peter Connolly's Greece and Rome at War. It seems Lee did his research for this project. There's a bit of artistic license taken, but for the most part his art is historically accurate as well as beautiful. I read both books to my kids. 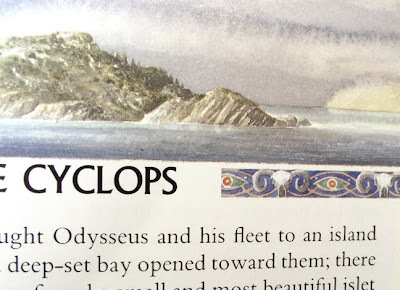 My oldest daughter much preferred The Wanderings of Odysseus. Her complaint about Sutcliff's version of the Illiad was "They never go on any adventures. They just argue and ask for help fighting." I'll add that even these youth-oriented editions include parts that are a bit too gruesome for a kid any younger than mine. As I read to her I felt I had to re-word a few scenes in order to tone down the violence. 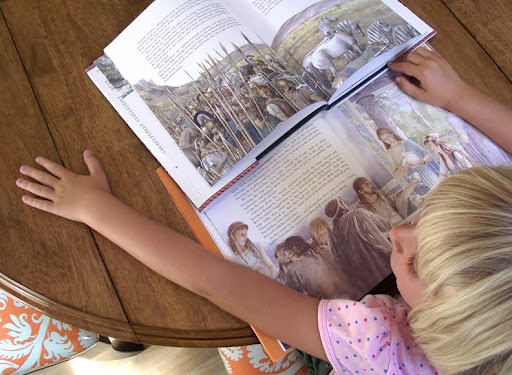 I recommend Sutcliff's and Lee's stunning books to kids over 8-years-old. They will also appeal to adults who want to read Homer's famous stories without slogging through the nearly 700 pages of a full translation. Being a Greek, and having read Homer's poems, the least thing I can say to you is 'thank you'. Your children will thank you too, as I did with my father! 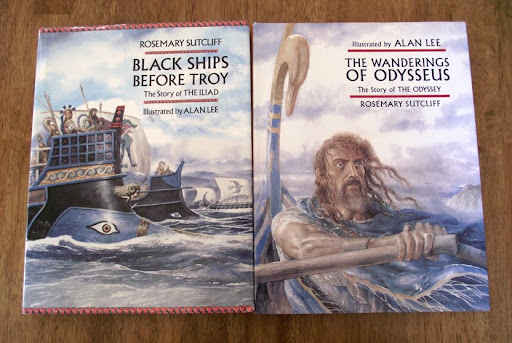 I loved Greek mythology and Homer, I also like the fact that these are nicely illustrated, as a kid I used to love looking at artwork like this. I might have to get a copy for my little brother. thanks for bringing this book to my attention! Thanks for these great reviews - I'm going to look into these for my kids!